We head out of Columbus around 7:30PM on May 4th. Ahead of us is approximately a twenty-eight hour drive to our first stop, Arches National Park in southern Utah. We arrive at Arches National Park near Moab, Utah around 9:00PM on May 5th. 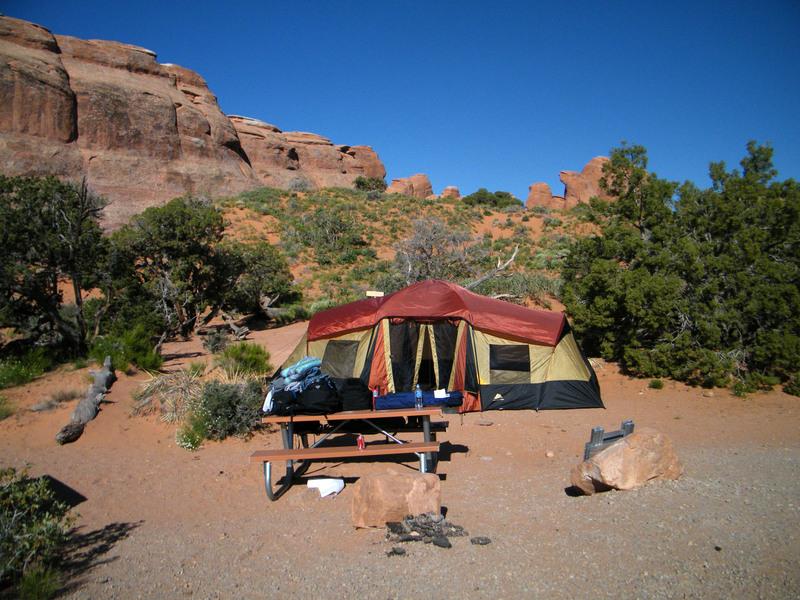 We slowly make our way through the park in the dark and arrive at Devil’s Garden Campground. We find our site and get to work putting up our tent. We get started and quickly realize how stupid we were by not setting up this brand new tent at least once before leaving home. With the winds ripping through the campground at nearly twenty-five miles per hour and only the light of our lanterns we finally get the tent up about an hour or so later and get some greatly needed rest. We wake up bright and early to complete amazement. When we arrived last night you could barely see the road ahead of you, let alone the scenery, and I wouldn’t have had it any other way. The landscape surrounding us this morning is beautiful, we climb out of the tent and take a few minutes to take in the views before gathering our things and heading out through the park. The drive through the park along is wonderful, I can’t wait to hike some of the trails and really check out the sites. This morning we decide to head on out of the park and into the town of Moab to grab some grub and play the local disc golf course. The disc golf course was awesome, challenging and beautiful. We played the course, grabbed some breakfast and went on a drive through the town and surrounding area, before heading back to Arches. We finished up the day by hiking some of the short trails and seeing some of the many sites throughout the park. We get up early, clean up the campsite, and pack our gear. We head down to check out a few more sites within Arches, including The Window Arches. We hike the primitive trail around the arches and take the climb to the top of the South Window before heading from Arches to Canyonlands National Park. 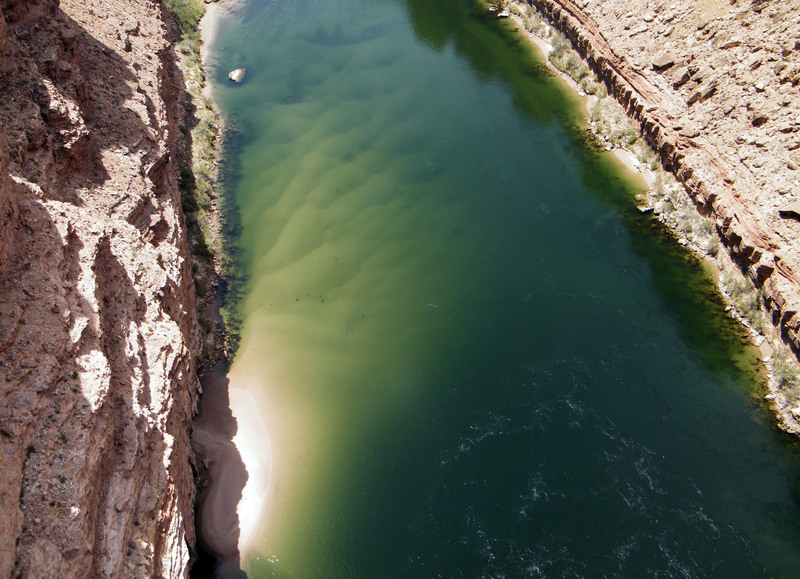 We spend the next few hours taking in the amazing sight of the Canyons and surrounding mountains. The park truly is beautiful, canyons inside canyons, inside canyons, add the distant views of the La Sal Mountains and the interesting rock formations and arches throughout and you have a one of a kind experience that everyone should see at least once. We spend most of the day at Canyonlands then make our way back to Moab and check into our hotel. We grabbed some much-needed showers and then went to check out the town and grab a bite to eat before heading to bed for the night. We wake up and hit the road around 10:00AM. Our first stop on this leg is Monument Valley. The drive there was beautiful, but the drive through the park on the dirt road is indescribable. From here we continue south into Arizona, to US-89, crossing the Colorado River, and heading off to Las Vegas. We arrive in Vegas around 6:00PM and grab a room at the Riviera for the night. 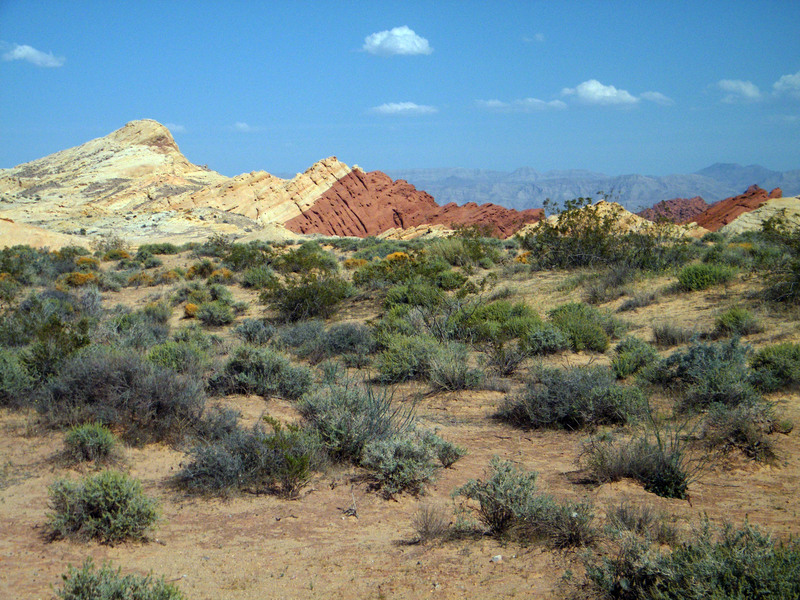 Today we head out of the Riviera and take a scenic drive through Lake Mead Recreation Area and Valley of Fire State Park. Both are pretty cool, but the rock formations and colors of Valley of Fire are unlike anything I have ever seen. The rocks seem to have melted together, the color of one side will be completely different from the other. After the drive, we arrive at the Stratosphere Hotel, check-in, and start gambling. After a few hours with no luck at the Stratosphere we head downtown to Fremont Street, check out the light show, and try our luck in some of the old casinos. Later we head back to the hotel only to pass out so we can hit the tables again tomorrow.